If you’re a fan of our Facebook page, then you probably already know from our announcement last week that we’ve partnered with Kenmore to provide exclusive content on their Genius Blog every Friday for the rest of 2011. 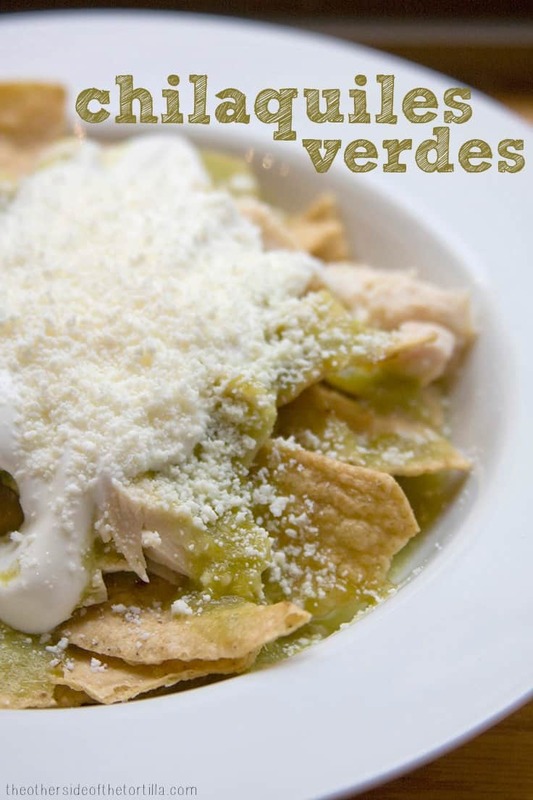 I’ll be talking about kitchen tips, Mexican ingredients and sharing recipes I’ve written especially for Kenmore’s audience. You may remember I have done two cooking shows with Kenmore in the last year, first albóndigas at the Ritz-Carlton South Beach at the 2010 Blogalicious Weekend conference, and then chilaquiles at the Kenmore Live Studio in Chicago with Chuy Valencia, the rising star chef and owner of Chilam Balam. I had so much fun with those and I’m excited about this partnership and teaching others about our cuisine and the Latin kitchen in general. I encourage you to visit over there on Fridays to see what else I’m up to when I’m not posting new things here…. Cinco de Mayo is not Mexican Independence Day—a statement that usually surprises my non-Mexican friends. Every September, I practically go on a two-week blitz campaign to educate my friends about the real Mexican Independence Day. It’s a grand display of national pride; much like the Fourth of July with the fireworks, parades and parties. I always love watching it on TV, seeing the zócalo in Mexico City filled to the brim with people. This year, I was standing in my living room with a hand full of queso fresco as I watched El Grito. I was in the middle of making a special sauce, and just as the clock struck eleven, I was about to put the cheese into the blender with milk and walnuts. I didn’t want to miss the big moment, so there I was, cheese in hand, watching my TV and trying not to drip on the floor. For 2009, I decided to make my own chiles en nogada, a very typical (and somewhat labor intensive) dish served around this time of year that showcases the colors of the Mexican flag. When I told my suegra my plans weeks before, she asked if I’d be able to find all the ingredients. I had to go to a few stores in order to get everything, and actually, the only ingredient that was difficult to find was a decent-looking pomegranate. 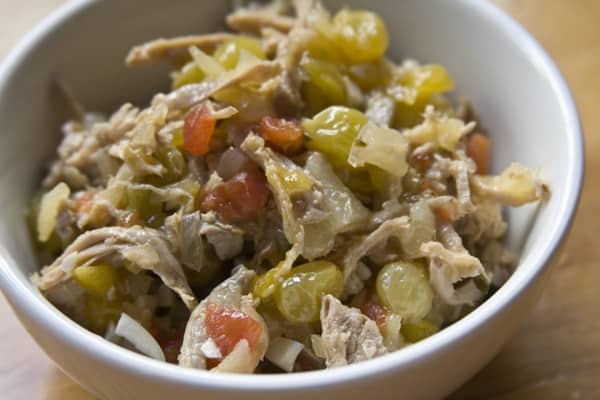 This recipe is from a traditional Spanish-language cookbook by Susanna Palazuelos I received as a gift from my suegra a few years ago, and is adapted to our liking. The original recipe calls for some ingredients I don’t care for so I adjusted portions and some substitutions, but the core of the recipe is still the same. 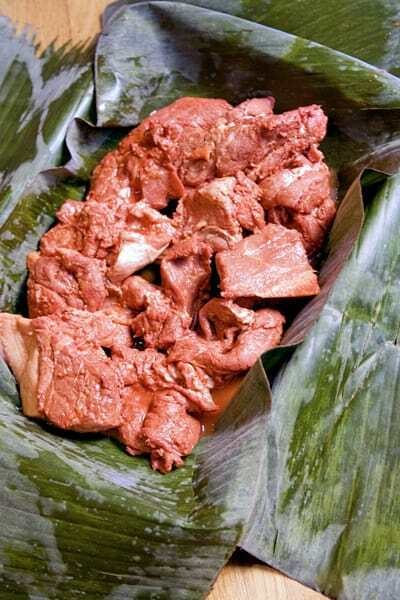 The results were excellent and I even shared some with a few Mexican friends here in Chicago who had never before tasted this very traditional dish. THE NIGHT BEFORE: Blanch the walnuts for about 5-7 minutes, let cool slightly and peel the skins off. This is the most important part of the recipe not to cheat on, because the skin is bitter. It will take you awhile to do it, but trust me, you don’t want to leave the skins on. Put the skinned walnuts into a measuring cup and cover with 1 cup of milk, cover with saran wrap and leave in the refrigerator overnight. It took me about 1 hour from start to finish with prepping the walnuts. Measure out ¾ of a cup of golden raisins and rehydrate them by covering with water (room temperature). Let them rehydrate overnight. 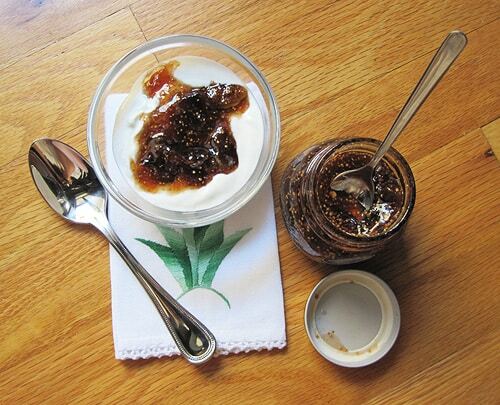 Drain the water in the morning and reserve the rehydrated raisins until you are ready to use them. 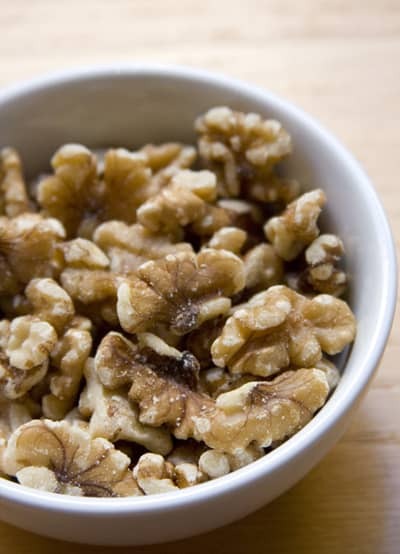 Using a slotted spoon, transfer the walnuts out of the milk and into a blender. Pour about ¾ of the milk into the blender. Discard the rest. Add the Mexican cream, fresh milk, sugar and salt to the blender. Crumble the queso fresco over the ingredients in the blender so it is easier to incorporate (you want the sauce to be completely smooth with no lumps). Blend until very smooth. Pour into a container and refrigerate. I suggest you chop everything for the picadillo first. Start with the garlic: crush 2 cloves and add to a large pan. Chop ¾ of a cup of white onion and add to pan. Peel and remove the seeds from the tomato and then finely chop. Set aside in a prep dish. Chop the ¼ of a bunch of parsley left and add to prep dish with tomatoes. Peel and finely chop the apple, pear, peach and blanched almonds. Set aside in another prep dish. Stir the oil, garlic, tomatoes and parsley briefly. Incorporate the rest of the salt (1/2 to 1 tbsp), the apple, pear, peach, raisins and almonds and cook over medium heat for about 5 minutes. Add the shredded pork loin and the reserved broth. Continue cooking at medium heat for 7-10 minutes or until the fruit has cooked and the mixture looks thickened. Let the picadillo come to room temperature and reserve. Roast the chiles over an open flame and peel them. Make a large cut down the side of each chile, making sure to not break them or rip the skin. (I suggest using latex gloves for the next step.) Using your fingers, carefully remove the seeds from inside the chile and then use the knife to remove any large veins. 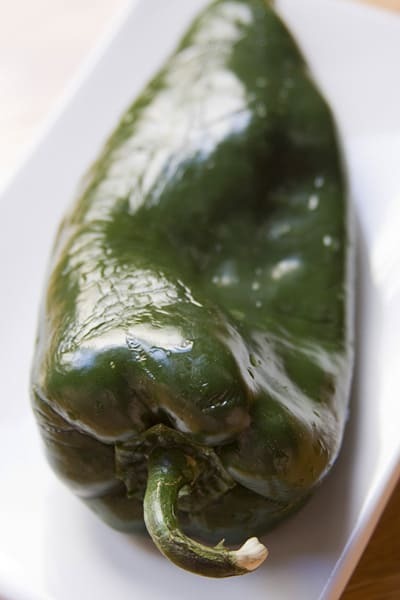 If you need a full tutorial with step by step instructions on how to roast them, you can reference my post on how to roast poblano chiles. 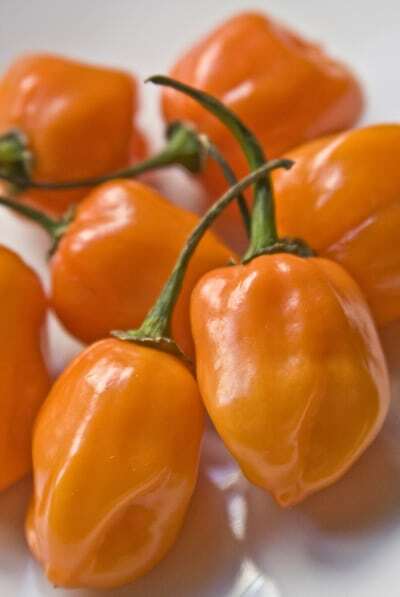 In a large bowl, dilute 2 tbsp of sea salt and 1 tbsp of white vinegar with water to completely cover the chiles. Let them soak for 40-60 minutes. This will take a little bit of the heat out of them if they are too spicy. 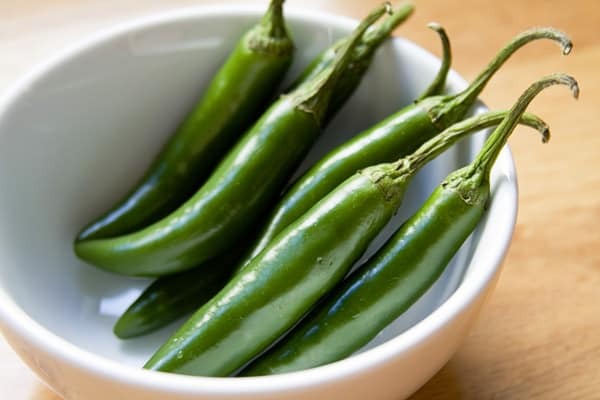 After soaking, rinse the chiles with cool water and pat them dry as much as possible with paper towels. 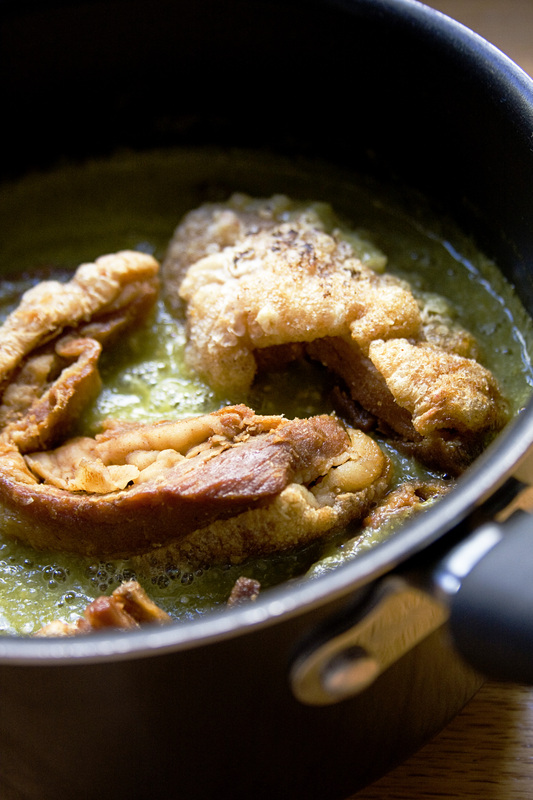 With a spoon, add a little bit of the relleno to each chile, being careful not to overfill them. While the chiles are soaking in the salt, water and vinegar solution, cut the ripe pomegranate and reserve the seeds in a prep dish. 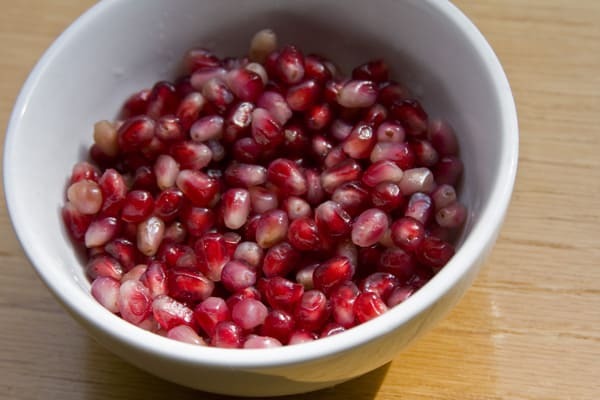 To remove the seeds without making a mess, slice the pomegranate with five cuts but don’t slice all the way through. 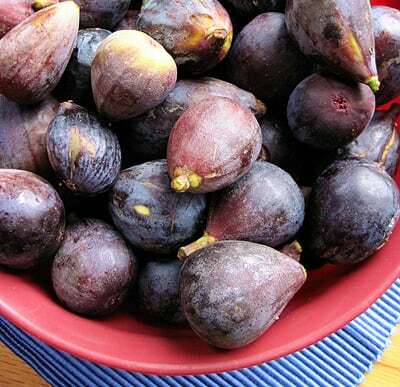 Submerge in a bowl of cool water, pull apart the slices and remove the seeds gently by hand. Rinse gently. 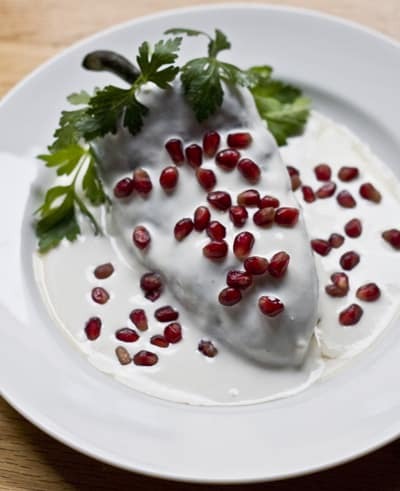 Pour the nogada over the chile filled with picadillo and sprinkle the pomegranate seeds on top. Garnish each chile with parsley and serve at room temperature. I sometimes make the mistake of using my bare hands to peel, devein and remove the seeds of a poblano chile because it doesn’t smell too spicy. Usually each time I do, I get fooled and the back of my hands feel like they’re burning for the rest of the day. A few times, I’ve scratched my forehead only to feel the searing sensation and have a little red raspberry spot to show off my mistake. You can save yourself from the burn by wearing fitted latex gloves. 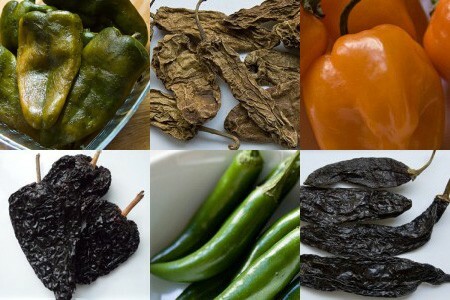 There are several methods for roasting chiles. The two ways I prefer are over a direct flame or on a hot comal. Either way, be sure not to burn the meaty flesh of the chile or it will have a bitter taste. With both methods as the skin starts to blister, you’ll hear what sounds like little zaps of electricity or sizzling—that’s normal. Place 1-2 chiles directly on the stove burners over a medium flame. Turn with kitchen tongs as each side blisters until the skin is toasted and blackened, but it should not blacken so much that it starts to peel or turn into ash. It should take a few minutes per side and about 10-12 minutes total, depending on how large they are. You can also follow this same method on a barbecue grill to roast more peppers at once. 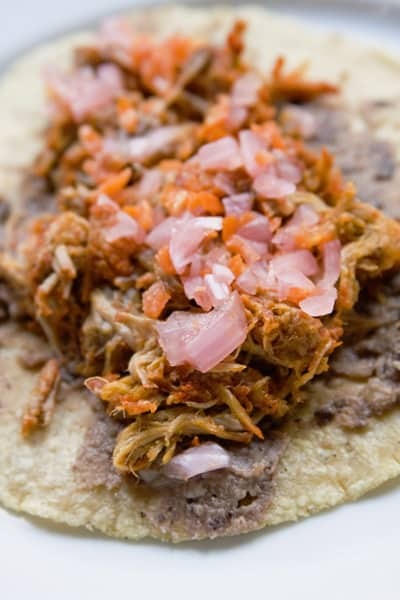 If you don’t have a comal (a flat, thin, and usually round or oval shaped pan for cooking tortillas), use a cast-iron or heavy non-stick skillet. Heat over medium flame and add 2-3 chiles to the comal. Turn them until the surfaces are toasted and blackened. The amount of time it takes will depend on whether you have a gas or electric stove and the thickness of your comal or skillet. Place the chiles in a sealed, plastic Ziploc bag to “sweat” for about 15 minutes. 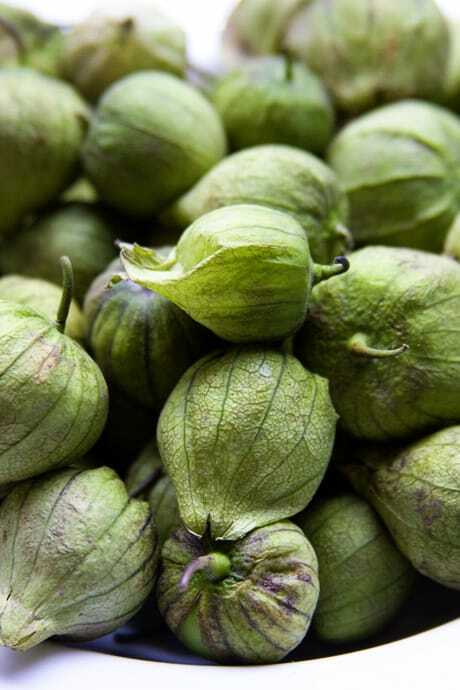 (You can also refrigerate the chiles for a day or two after sweating if you are not ready to peel, devein and remove the seeds for use.) 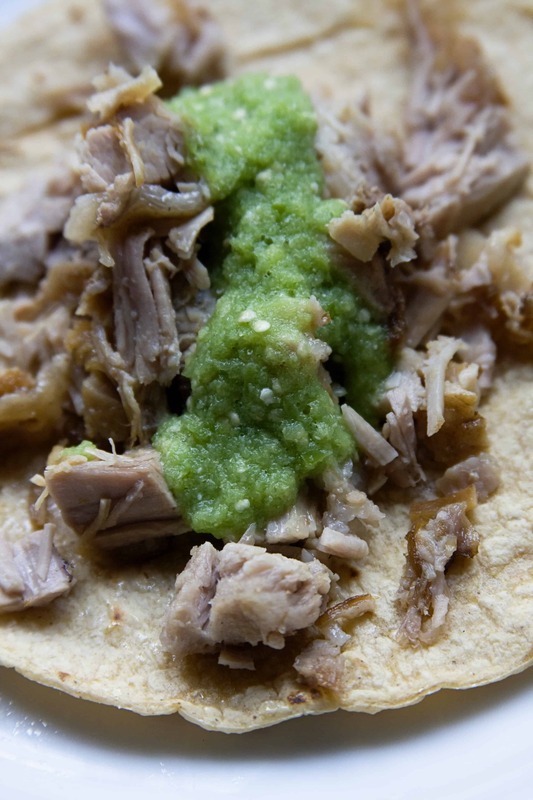 Sweating has two purposes: first to remove the skin and then to cook the chile a bit further in its own vapors to acquire the characteristic taste of a freshly roasted chile. Have a bowl or plate ready to hold the skinned chiles. After 15 minutes, open the bag and one at a time, pinch part of the skin so it tears and peel it off. Remove the skins from each chile and transfer them to the bowl or plate you have waiting. Discard the skins. To devein and remove the seeds, cut a slit along the side of the chile. Use your fingers to dislodge the seeds. Pull out what you can with your fingers and then using a slow but steady stream of cool water, rinse the inside of the chile. This should flood the rest of the seeds out if you knocked them loose but couldn’t remove them with your fingers. Feel for any thick veins along the side of the chile. Using a small paring knife (and being careful not to pierce the skin) gently cut the veins away from the skin. 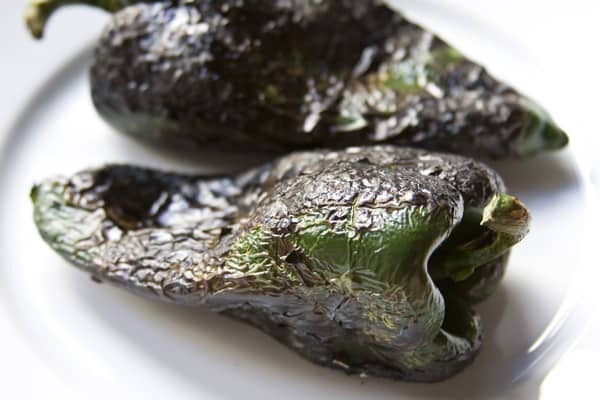 Pat the chiles dry with a paper towel to remove any extra moisture inside and out. Now the chiles are ready to prepare for a dish.